They should have planned for this. But what if they didn't, and they're in your office now? Families may not understand what caring for an aging relative at home really means. Some LifeHealthPro.com readers have been selling stand-alone long-term care insurance for years. If you’re one of them, this article is not for you. But what if you usually focus on selling other types of products, and new clients, or established clients who have ignored your recommendations to plan for long-term care (LTC) costs for years, suddenly come in with urgent questions about relatives’ need for LTC services, or their own imminent need for LTC services? The company I work for, Senior Planning Services, helps the many families that rely on Medicaid LTC benefits understand the system. You may believe that families should buy private LTCI, or use other private insurance and savings products to pay LTC costs, but many middle-income families are in situations that require them to take a different approach. 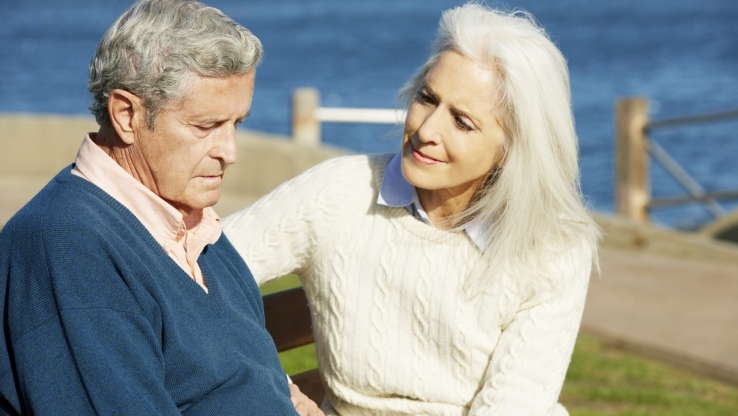 When families have not thought much about long-term care and suddenly come in asking about that topic, you may find that the challenges involved with knowing what to say can be daunting. Here are four things an insurance professional outside the LTC field should consider when deciding whether to refer a client to someone who understands how LTC services really work. 1. Has the family discussed long-term care at all? Even in some families that have no private LTCI, long-term care is part of the plan that they’ve made to care for aging relatives. They know what mom’s wishes were before Alzheimer’s claimed so much of her mind that she couldn’t contribute to the discussion anymore, or they know what dad would want, now that he’s starting to have trouble taking care of himself throughout the day. Other families have no idea what their aging family members would have wanted and struggle to come up with a plan. A long-term care specialist is ideal for helping these families develop a plan of action that will work best for their loved ones. 2. Do they really understand what long-term care is? There are a variety of options available for long-term care. It’s not just about nursing homes anymore. There are plenty of assisted living and home care options available, including caregivers who will come in to help with bathing and dressing, meal delivery, and plenty of other options that can make it possible for an aging relative to stay in the home longer. Not all long-term care options are created equal, though, and it would be naïve to think that any senior can have all their needs met while remaining in the comfort of their own home. Generally, home care benefits programs will cover only 25 hours of care per week. In a nursing home or assisted living facility the resident could potentially receive up to 24/7 hours of care. This is a conversation the family must have. While some families are prepared to navigate this field, others need a little extra help figuring out what their loved ones really need. 3. Have individuals lost some or all of their ability to care for themselves? This is a key indicator that long-term care has become a necessity. An elderly individual who can no longer perform necessary self-care tasks needs long-term care options. This isn’t something that can be cured by someone moving in for a few weeks or by a family member coming by a couple of times a day to help with household tasks. When an aging individual can no longer remember whether or not they’ve taken their medication, dress themselves, or prepare their own meals, or they leave a fire on and go out shopping, it’s time for families to have a serious discussion about long-term care options. In fact, a friend of mine commiserated that her dad had Alzheimer’s and that one day she had come to check up on him only to find him trying to climb out the window. These discussion need to take place before an emergence occurs. 4. Have they thought about what a long-term care event could do to their family and finances? “Oh, I’ll take care of Mom. She can just move in with me.” “I don’t care to come stay with Dad for a while.” Those are fairly common statements when aging parents need long-term care. The problem is, many people make those statements without realizing the financial and physical burden that it’s going to place on them. Everyone wants their family members and loved ones to be independent for as long as possible, but as people live steadily longer, the host of age-related health care problems and expenses rises. It’s difficult to fully estimate the cost of staying home to care for an aging loved one, especially when that care could last for years. Families who do not appear to have discussed this in detail ahead of time need to consult with a long-term care professional to ensure that they have the best possible understanding of the challenges they’re going to face. Long-term care specialists are prepared to discuss all of these issues with families who are in the position of making difficult decisions. They’ll help guide them through the process, answering all of the questions they have along the way. It’s not an easy road, but a long-term care specialist can help family members know that they’ve made the best possible choices along the way. Sarah Schwarcz is a business development representative at Senior Planning Services, a firm that helps clients understand Medicaid.